Have you ever wanted to start a blog to share your passions? What about run a business from your laptop? Or attract new and diverse employment opportunities by professionally showcasing what you do? Let me you in on a little secret – this is the way the world is moving. Permanently! If you aren’t already online and sharing your biz, blog or brand — you are officially behind. And that desire to get online is your intuition letting you know, its time! I’m so super passionate about everyone getting their personal brand, business or blog online immediately! This might not seem like a huge deal. But I promise you it is. Every time you meet someone, share your business or brand or apply for a job – you better believe you are being searched online. When you have a personal website or blog – that’s what will come up first. It looks professional, impressive and says the message you want to be sharing. Meaning: Facebook, Instagram and all other platforms could be shut down tomorrow. Literally. And one day, they will be obsolete. Then where would your people find you? Having your own space online to share, create and sell is the future. Social Media is just a beautiful bonus! I’ve been a blogger for over 10 years. 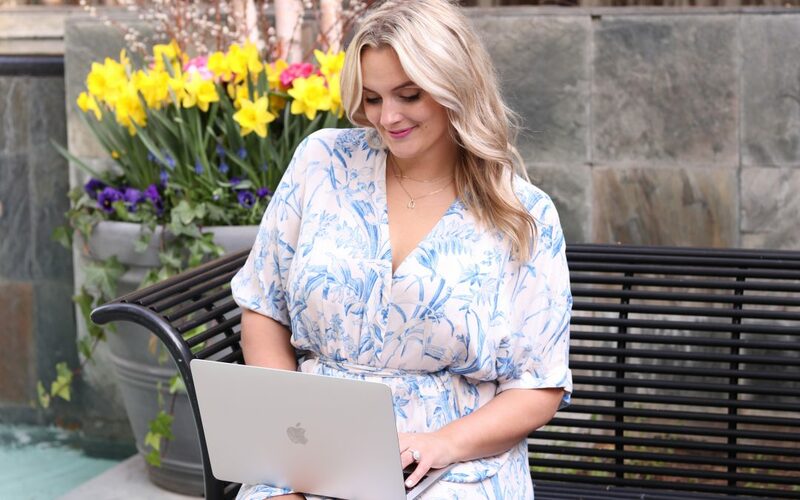 The second I started doing this whole blogging thing ‘the right way’ (because YES there is a method to the madness!) – that is the second I was able to take full advantage of the limitless ways to make an income from my blog. Today I consistently make $20K or more a month – from multiple sources and streams. Every single client, opportunity and brand partnership comes straight from (you guessed it!) MY WEBSITE. I hope this sheds a little light on exactly why you need to be online in a big, beautiful and professional way, ASAP! You know those parent’s that don’t know how to use computers? NEWSFLASH: That will be us in the future if we don’t get online and shine, today! Want to learn how to run your brand, biz or blog online like the pro’s do it? No failing hobby blogs that die in internet-space allowed here! The Blogger launch opens April 1, and we’d love to have you on board. Let’s Get Your Blog Launched!